In 1995, the New York Daily News ran an article celebrating the 50th Anniversary of the Honeymoon Industry in the Poconos. The Honeymoon Capital of the World began when Rudolph Von Hoevenberg opened the first resort, The Farm on the Hill, in 1945. The Farm was a very rustic operation consisting of some simple cabins and a main lodge. Honeymooning brides were required to make beds and clean cabins, while grooms had to wait tables, which management said was their way to prepare their guests for married life. The resort was so popular they had to institute a waiting list. During the 1940s and 1950s more plush resorts began emerging in the area, which started a period of massive growth for the Honeymoon Business in the region. In 1963, the first heart-shaped tub was introduced to Pocono honeymooners, and 1971 ushered in the racing era, when the Pocono International Raceway opened its 2 ½ mile superspeedway. 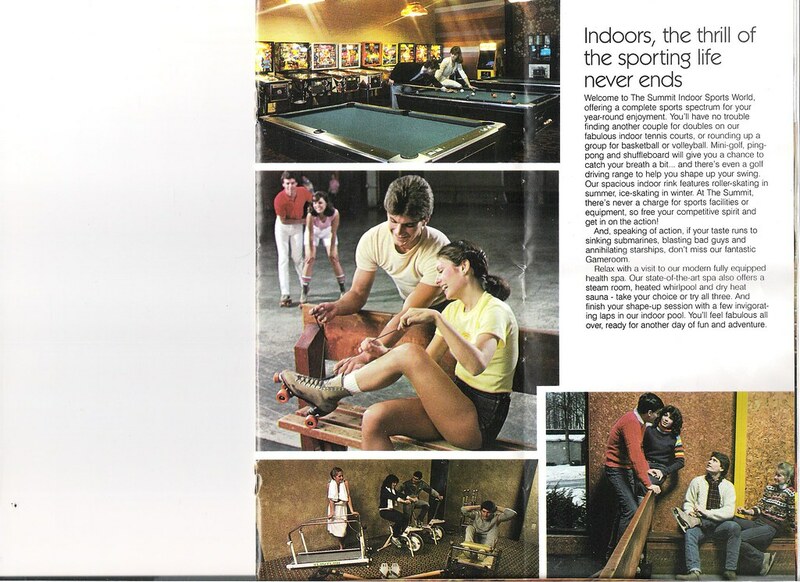 During the 1980s, whitewater rafting, outlet shopping, and golfing served to broaden the four-season appeal of the regional resort industry. The 1990s were a bitter-sweet era, with several well-regarded resorts closing, while others made significant capital improvements to their facilities. Many have described the resort as an outlier. 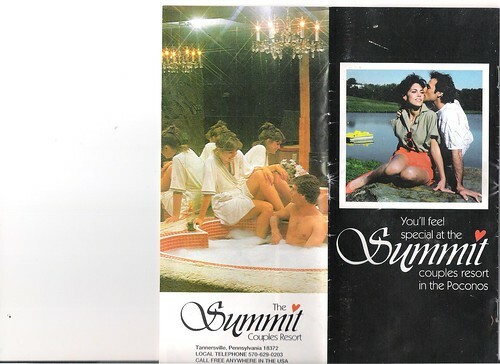 The Summit, which was built in 1968, closed in September 2002, after the owners, Farda Realty LLC, decided they wanted to open an outlet shopping complex on the property, an idea that never became a reality. Since then, the property structures have been condemned to existence as abandonments, with their glorious past long gone and no hope for their future. 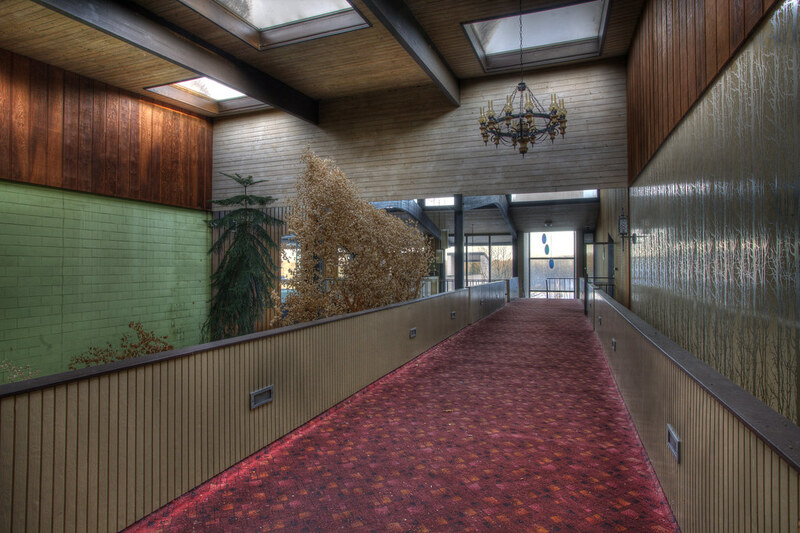 Among those in the know, the plush, vinyl-clad, heart-shaped bar, once used as the glorious centerpiece of the Arabian Nights-themed “Scheherazade Night Club and Kismet Cocktail Lounge”, is considered the jewel of abandoned resort bars by photographers. While information about the resort is a little hard to come by, former guests looking to see if the beloved resort is still open are doing their part to keep memories alive by posting about their experiences on various travel sites. Those commenting say that the staff and food were great. Some mentioned collecting love potion glasses by playing newlywed games. The lobby was described as “a little piece of paradise”. It had koi ponds, a footbridge, a lit rock walled waterfall and even a parrot! Many returning guests said they liked taking a new picture of the waterfall each year they had the opportunity to return. Former guests most often post about “Saxy Sal”, a saxophone player for The Graci Brothers Band who said “bonswa” and always made everyone feel like family at The Summit. Unfortunately, Salvatore Graci passed away in 2011. Many praised The Graci Brothers Band with comments like “the best band we ever had the pleasure of dancing to”. A few recalled The Graci Brothers Band’s version of Carlos Santana’s “Smooth” as a personal favorite. Other Summit employees leaving an impression among the guests were Tex, an activities director from 1987 and/or 1988; a show host reminiscent of Benny Hill; a woman named Loretta who seated them at breakfast, lunch and dinner; Laxmi, a dining room server; the “fun to be around photographer” that everyone called “Flash”; The Astonishing Neal, a hypnotist; “a character” called “Smoky” who was the master of ceremonies in 1977; and “Fred Beven and the Difference in Brass” with their Big Band sound. Also scoring a few mentions were the chocolate crème pie and the Baked Alaska. 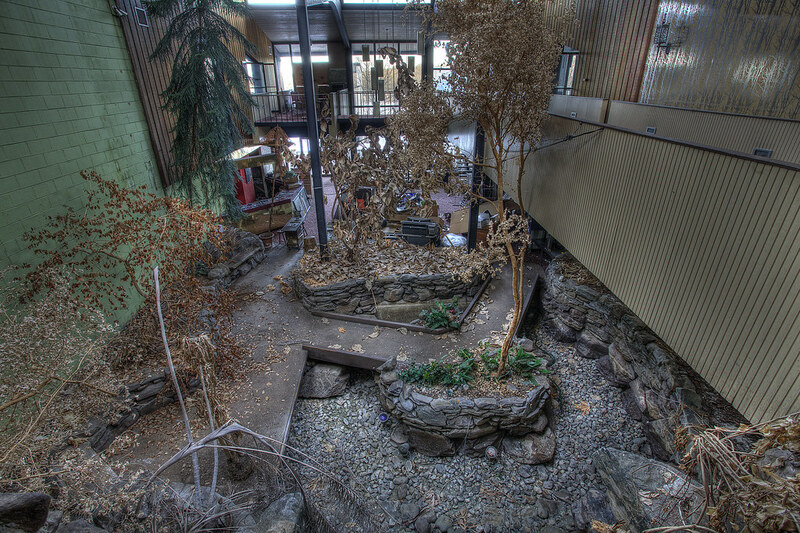 Sadly, those staying at The Summit in 2000 and 2001 shared experiences that included negative comments about the tackiness of the décor, primarily mentioning the shag carpeting that permeated every inch of many cabins, a filmy substance covering the pool, a broken miniature golf course, and cabins they described as dirty, outdated and feeling “too much like the 1970s”. 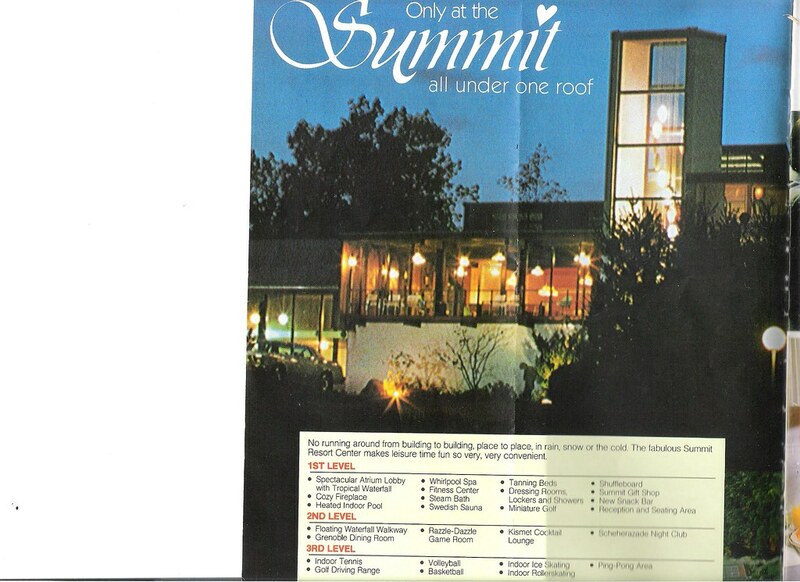 Yet, many staying at The Summit during the 80s said they hoped to return for their 25th anniversary. social documentarian, is now offering her services as a freelance photographer. Thank you for this article and photos. My wife and I went to the Summit in 1987 and 2000. We recall Tex from 1987 and Sal Graci from 2000 (yes, their version of “Smooth” was great!). We stayed in the same room both times. Sadly, places of this type are almost extinct. It was a really cool place to go…and priced right too. Our waiter, Dan Padgette was the best. Always loved seeing him… Tough as nails but always a gentleman. The seventies decor was always a great escape from the normal every day troubles of the world at the time. Stayed here in 1990’s. Loved it. Anyone remember the name of the Parrot? Can’t remember it.